Hawne Basin (under the bridge) is at the practical limit of navigation on the Dudley No 2 Canal. Windmill End Junction is to the right. 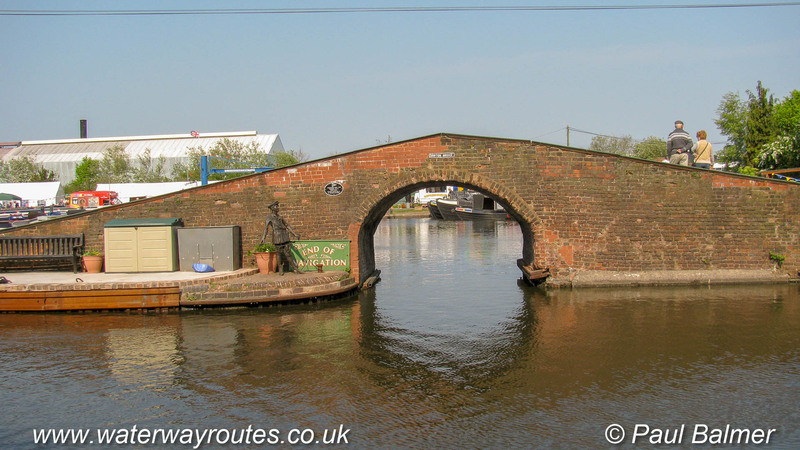 The canal continues with moored boats a short distance to the left, with proposals to restore the route through the the Worcester & Birmingham Canal as the Lapal Canal.